In addition to practicing general psychiatry, Dr. Sabrina Khan is a reproductive psychiatrist who specializes in the care of women at all stages of the reproductive cycle. She treats women experiencing mood and anxiety symptoms during pregnancy and in the postpartum period, as well as during fertility treatment. In addition, she treats women with symptoms related to their menstrual cycle and during menopause. 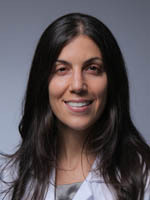 Dr. Sabrina Khan is a Clinical Assistant Professor in the Department of Psychiatry at the New York University School of Medicine, where she has supervised and taught psychiatry residents and has given lectures on Reproductive Psychiatry to residents and attending physicians in the Departments of Psychiatry, Obstetrics & Gynecology, and Pediatrics. She has presented at various conferences and has published articles in the field of reproductive psychiatry. Click here for Dr. Khan's profile. She sees patients for comprehensive consultations (which include pre-pregnancy as well as perinatal consultations), psychotherapy, and psychopharmacology in her private practice in Manhattan.